In 1974, Evelyn Burns was diagnosed with breast cancer. At that time, a breast cancer diagnosis meant something different than it does today. Fewer women were surviving the disease and the treatments were more extreme so emotional support was greatly needed. Following her diagnosis and subsequent radical mastectomy, Evelyn was visited by a Reach to Recovery volunteer, a program from the American Cancer Society that matches newly diagnosed breast cancer patients with trained survivors to offer one on one support. 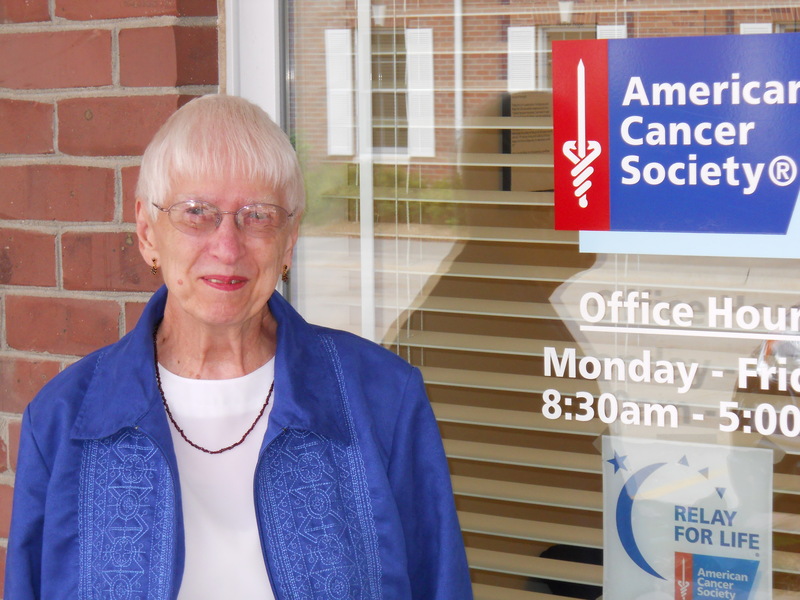 “I was so impressed with the Reach to Recovery volunteer that came to visit me that I wanted to help others.” And that’s exactly what the 86-year-old has done for the past 36 years as an American Cancer Society Reach to Recovery volunteer. Burns notes that the women she’s visited over the years have all been very receptive and happy to receive the one on one support. They especially appreciate the volunteer’s ability to help direct them to receive breast prosthesis as well as their emotional support. Burns, a retired nurse, has visited newly diagnosed patients both young and old in communities all overSoutheast Nebraska. For most of her 36 years, she was the only Reach to Recovery volunteer in the area, making her services even more important. InNebraska, there are currently more than 115 Reach to Recovery volunteers visiting newly diagnosed breast cancer patients and offering support and comfort during this difficult time in their lives. This is just one of the many support programs offered by the American Cancer Society. For anyone interested in volunteering for any one of the American Cancer Society’s programs or events, call 1-800-227-2345.